Gentle Reader, imagine my shame and embarrassment when I began reading The Accursed, latest tome by the famous book-writing machine which goes by the name of Joyce Carol Oates. Here it was, a fat paperback of some 667 pages, and with a cover showing a snow-white female chin above a snow-white lace collar, with blood dribbling from the crimson lips; and with the title The Accursed printed in bold blood-red Gothic type. And above the title, at least on the copy that I had, the slogan “The sins of the fathers. The souls of the innocent”. I scarcely dared let anyone see what I was reading, as it looked so like airport-lounge Gothic or a variant of the Twilight series that is marketed to younger teenage girls. And, Gentle Reader, much of the novel delivered exactly what the cover promised its more innocent purchasers. It does indeed include a Curse – also known as the Crosswicks Curse or The Unspeakable – which descends upon a small community and causes much mayhem and many scenes of extreme horror or violence. These include the ghost of a recently deceased young girl coming back to haunt members of her family! A bride abducted from her wedding by a Phantom Bridegroom and spirited away to a demon kingdom (the “Bog Kingdom”) ruled by a Demon Prince! A shape-shifter who is now the Phantom Bridegroom; and now Sherlock Holmes inciting a dotty professor to commit murder; and now a suave European count of evil intent! Girls in a ladies’ seminary who have hysterics at the sight of demon snakes! And a husband who, amid blood-soaked bed-sheets, goes berserk and murders his wife with an electric fan! And a homosexual vampire, feasting on university students! And a father who is just prevented from murdering an infant after demon voices have spoken to him! And to add to the Gothic tone, an idiot boy who seems imbecilic but has access to the Demon Kingdom and to all the occult matters that those elder and wiser cannot fathom. Like many genuine Gothic novels (you can go back to the days of James Hogg, Anne Radcliffe and E.T.A.Hoffmann for this one), The Accursed purports to be an account of real events as “edited” by an historian - in this case, one M.W.van Dyck, looking back on the demonic visitations from eighty years later. But here is the twist. The whole tale unfolds at Princeton University in homely, un-demonic New Jersey, in 1905-06. Those characters who are most afflicted by the Curse are the fictitious children of the fictitious Presbyterian minister Winslow Slade. The young woman spirited away by a Demon Bridegroom is the Reverend Slade’s daughter Annabel Slade, who was about to make a fashionable marriage to the dashing southern Lieutenant Dabney Bayard. Alongside these fictitious characters, however, The Accursed has many extended portraits of real historical figures. Former US President Grover Cleveland. Future US President (and president of Princeton University) Woodrow Wilson. And journalist, novelist and Socialist muckraker Upton Sinclair. And blowhard novelist Jack London. And others too numinous to mention. Yet for all its many documentary moments, there is no point in trying to unpick this novel in purely historical terms. It simply isn’t an historical novel in any conventional sense, but a lurid fantasia on historical themes. Therefore one cannot cry “Foul!” at the sight of any anachronisms. But what exactly is Joyce Carol Oates doing with this melding of Gothic excess and historical verisimilitude? Predictably, the whole thing is a postmodern exercise, self-referential and a veritable Chinese box of unreliable narrators. Our historian M.W.van Dyck, writing in 1986, is a stuffy, pompous, pedantic old man, endlessly passing judgements on characters and events (often in footnotes) in ways that show him to be snobbish, mildly racist and quite out of touch with his own times. Annabel Slade’s diary of her abduction (especially pp.264 ff.) is pure Gothick pastiche. By contrast the quoted diary of one Adelaide McLean Burr, a hypochondriac, neurotic campus wife, is a collection of period prejudices and fads - she follows Theosophy, hates trade unions and the working classes, and yet blithely rejoices in the revolutionary anarchist theories of Bakhunin as if they are the latest drawing-room fashion. So, we have to conclude, part of Joyce Carol Oates’ purpose is purely stylistic. She is indulging the fun of writing in different styles. But you cannot read this fat volume without seeing much of its Gothic as metaphorical. Unless you want to take the hauntings, the vampirism and the demons at face value (and you’re allowed to do that if you want), its hard to see them as anything other than symbols of what ailed and haunted America’s intellectual life a century ago – the nasty things in the USA’s historical DNA. Those who are “The Accursed” may be Americans who have this heritage. The portraits of America’s leaders are unflattering. Grover Cleveland is an obese fool, who gets stuck in a window frame when trying to pursue the ghost of his daughter. When he turns up late in the novel, hosting a White House dinner, President Teddy Roosevelt is a gluttonous, boastful bellower. More central to the action is the pompous, hypersensitive, nerve-strained Woodrow Wilson, who takes a whole pharmacopeia of drugs to soothe his nerves and who sees conspiracies against himself everywhere. He is shriekingly as odds with another academic administrator, Dean Andrew West, over precedence and the building of a graduate school. Up in New Jersey, Princeton is still a bastion of prim southern Presbyterian intellectuals with a high sense of their own moral worth. Yet, as Oates depicts them, they are really a perverse lot. They are profoundly racist. They do not like that vulgar Ku Klux Klan, but in the privacy of their own homes, they secretly approve when they hear of a nearby lynching. It keeps the Negroes in their proper place, after all. They have a neurotic fear of “race-mixing”. In one early scene, Woodrow Wilson conspires to have a member of staff dismissed when it is suspected that he may have some black ancestry. They barely tolerate Jews. Only a few are allowed on campus, and the dashing Lieutenant Bayard makes free with the anti-Semitic remarks as he harasses one Jewish student. The prospect of women’s suffrage is unsettling and generally disapproved of, but the college administrators cannot come up with logical arguments against it. As for the new wave of immigrants at that time entering America from Southern Europe, they arouse all the Protestant mandarins’ latent anti-Catholic bigotry. In one scene Woodrow Wilson, slightly unhinged by his drugs and his paranoia, gives a semi-coherent public speech which turns into jokes about “darkies” and a rave against “the enemies of Protestantism” flooding into the country (pp.337-338). So often as I read this novel, I found myself de-coding the Gothic bits to see how they played shorn of the supernatural. Take the melodramatic moment where Annabel Slade, escaped from the Demon King’s “Bog Kingdom”, dies in childbirth. Panicked rumours fly about that she has given birth to something monstrous – which would fit in with her having mated with a demon. But the rumours also echo the fear of whites having children with blacks. It occurred to me that the hysteria attendant upon Annabel’s childbirth was no more than what this inward-turning, snobbish, elite, self-satisfied white university community would express if one of its members gave birth to a black child. And is the demonic “Bog Kingdom” code for mandarin fears of the demotic, uncouth working class? Or, in another reading, is it code for the repression of healthy sexual urges? As in much Gothic fiction, the extreme action, violence and hysteria have a distinct sexual edge. Princeton in 1906 is an all-male institution and something of a sexual hothouse. More than once, Oates implies that repressed sexual urges are one cause of the profound anxieties, neuroses and (possibly) hallucinations that her characters experience. We see this in her description (pp.228-229) of the young woman “Willy” (Wilhelmena) Burr, whose corseted body is unnaturally restrained in its striving to break with social custom. Quite late in the novel (pp.476-482), it is clear that while “The Unspeakable” may be a demonic curse, it also refers to homosexual activity among students, which finds an outlet in their rough “hazing” and casual violence. As for the virginal girls at the ladies’ seminary having hysterics at the sight of demon snakes – I think the Freudian imagery is pretty damned obvious. Of course there is heavy irony here – the idealistic Socialist cannot recognise his own exploitation of his wife – and Joyce Carol Oates rewards Upton Sinclair by having him, too, suffer from hallucinations, in his case about his wife committing adultery. For all the laudable aspect of his moral outrage at society, Sinclair is still seen as a man of his age. He makes many pungent and accurate observations on the Princeton scene, but his naïve vision of the coming Socialist revolution is as ungrounded in reality as the mandarins’ racist fantasies. I was beginning to droop from this over-long, over-complex, over-clever congeries of Gothic and Historical when I was revived by the bravura chapter (pp.487-529) in which Upton Sinclair meets his young hero Jack London. Sinclair rapidly discovers that London’s “Socialism” is a thin mask for profoundly racist Nietszchean fantasies about Nordic supermen. [See the index at right for my take on London’s The People of the Abyss, one of the books which Upton Sinclair admires in this novel]. The sad truth appears to be that even those who wished to amend a corrupt and privileged society were not necessarily on the path to building something better. There is one other theme that strikes me in The Accursed. Having presented a thoroughly unlikable university community, repressed, neurotic, racist and snobbish, Joyce Carol Oates implies that its salvation might come from its youth and from those people who consciously ignore its shibboleths. “Willy” (Wilhelmena) defies her family to pursue a modest but unladylike career. Josiah Slade, the brother of the abducted bride, at first sets out to get revenge on the man who abducted her, but is converted to a hunger for the real betterment of society. In this hopeful schema, the idiot boy Todd proves to be the salvation of the community when he lifts the curse by defeating the Demon King of the Bog Kingdom at a game of draughts. Very much in the American grain (think of innocent heroes like Huckleberry Finn or Holden Caulfield), Oates comes close to seeing virtue only in callowness. And yet there is irony here too, for the novel’s innocents do not all end well. And from the perspective of one century later, we are aware that their social hopes did not all turn out as they expected. I refrain from analysing the novel’s conclusion, where Oates glibly stands on its head much of the demonic imagery she has been deploying, and suggests that God may be at fault rather than the demons. Not only is it a profoundly unsatisfying wrap-up, but I’d be accused of offering “spoilers” if I went into too much detail. This is very much the reputation that the 75-year-old Joyce Carol Oates now has – the woman who has been cranking out at least a book a year since the early 1960s. Understandably, many of them have been highly praised, she is a respected part of the American literary establishment and she has for the best part of thirty years been teaching at Princeton, forsooth. But the very abundance of her work always gives reviewers an opening to tell her that she should slow down, write more carefully, concentrate on her craft and perhaps stop repeating herself. For the record, she had already written three or four Gothic novels before this one, and apparently she first drafted The Accursed in the 1980s when she had just joined the faculty at Princeton. I salute and applaud Joyce Carol Oates’ wit and intellectual vigour. I do not wish to join the ranks of those who belittle her simply for having written so much. And yet I did wish that she had sculpted this outpouring more carefully. 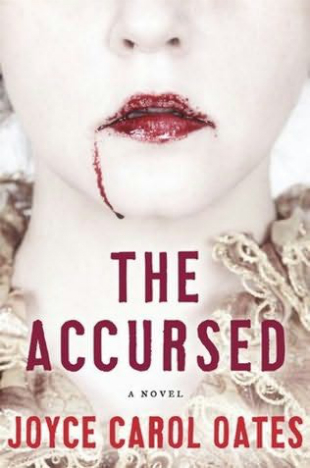 The Accursed has passages of great insight and acute historical judgement. Its Gothic sensationalism is fun up to a point. And yet it also wanders all over the compass, has too many characters and badly outstays its welcome. At 300 or even 400 pages, its wedding of demons and intellectuals could have been bracing. At 667 pages you do indeed want to tell the lady to shut up and you begin to wonder whether she has merely hit on a more up-market version of one of those tiresome mash-ups, Pride and Prejudice and Zombies and its ilk. In the end, game-playing of this bulk and length is oppressive. I sometimes toy with the game of reducing classic plots to a few curt sentences. Greek wanderer accidentally kills father, marries mother and blinds himself. Danish prince winds up dead after taking too long avenging his father’s murder. Jewish ad-man and Irish student wander around Dublin, get pissed and meet in a whorehouse. Tory MP’s wife plans a party on the same day a shell-shocked soldier kills himself – that sort of thing. To reduce plots to a few words is literally reductionist and always misleading. A novel or play isn’t just its plot anyway, and anything can be made to look ridiculous or trivial in such a brief summary. Ask the idiot 17th century critic who, after summarising Shakespeare’s plot, claimed that the whole point of Othello was that wives shouldn’t lose their handkerchiefs. Anyway, with all this in mind, I venture to prove the point by giving you a brief plot summary of one of my favourite novels. Young woman makes arranged marriage with older aristocratic civil servant, is profoundly bored by married life in a provincial small town, and is caught out and destroyed when she has an adulterous affair. Doesn’t sound too exciting, does it? And as many commentators have noted, if you substituted “doctor” for “civil servant”, this summary of Effi Briest could almost be a summary of Madame Bovary. Let me make it more coherent by giving a more detailed plot summary. Living not too far from Berlin, Effi Briest is a vivacious, impulsive 17-year-old girl at the beginning of the novel. Her friendships with other girls are frankly giggly and silly. Although middle class, her parents pride themselves on being of minor aristocratic descent. Therefore they are happy to arrange for her to marry Baron Geert von Innstetten who, at 40, is over twice her age (and is indeed a former admirer of her mother). And Effi is happy to be so married, because she has beaten her giggly friends to the altar. Effi and Innstetten go to live in the small town of Kessin in Pomerania, near the sea, where Innstetten has some prestige as a local governor, a role he sees as part of his career path in the civil service. The newly married couple live in a large house, about which there circulate odd rumours and stories of the ghost of a Chinaman; and in which there hang a stuffed crocodile and a stuffed shark. When she lies in bed at night, Effi hears strange movement upstairs. At first the novelty of Kessin interests Effi, but rapidly life in the small town palls and of course Innstetten is frequently away on official business. It is the process of Effi’s disillusion that occupies the central section of the novel – an almost plotless series of encounters with local people, such as the courteous, hunchbacked shopkeeper Alonzo Gieshubler or the visiting opera singer “Marietta Trippelli” (really a Prussian lady, Fraulein Trippel) with her florid and loud theatrical manners. Sometimes we have vignettes of Effi and her husband visiting simple locals, who are overawed by his office. In her loneliness, Effie finds near the churchyard the simple servant Roswitha, who becomes her closest confidante. A child, Annie, is born. For a time Effi becomes obsessed with the story of the Chinaman’s ghost. She socializes with Sidonie von Grosenabb. She socializes with Major Crampas. On one outing, she and Major Crampas share a carriage, which becomes stuck in the mire. Innstetten is transferred to Berlin and Effi goes with him, without many regrets. Six and a half years after the transfer, little Annie is injured in a fall and the servants force open a desk to get a bandage…. and a bundle of letters fall out. Innstetten reads them and is horrified to discover they are love letters between Effi and Major Crampas. Effi is away on holiday when this discovery is made. Innstetten summons his friend Wullersdorf and discusses whether he should defend his honour with a duel, despite the time that has elapsed since the affair happened. Wullersdorf agrees that he should. So with his friend as his second, Innstetten travels back to Kessin, arranges the duel and efficiently dispatches Major Crampas. He then writes to Effi, formally separating himself from her, and takes complete custody of the child Annie. When she receives the letter, Effi faints. Her disgraced parents refuse to take her back. Living with the servant Roswitha in a cramped flat in Berlin, Effi longs to have access to Annie after glimpsing her on a city tram. But when they do meet, their reunion is not a success. Annie has completely absorbed her father’s cold, formal manners and treats her mother with disdain. Effi’s parents reluctantly take Effi back. The local pastor Niemayer shows Effi some sympathy, as he recognizes her girlishness and emotional immaturity despite the fact that she is now a woman in her thirties. Despite this partial acceptance, Effi still dies of grief. But before she dies, she requests that her tombstone bear her original name, as she believes she has brought no “honour” to her husband’s name. She accepts those very values that have been partly responsible for destroying her. There now. I have totally outraged you by filling this summary with “spoilers” and ruining your own discovery of what is rightly regarded as a German masterpiece (“the most famous German novel of the nineteenth century” according to the back cover of my Penguin Classics paperback edition). Or have I? For this is a novel where style and structure count for as much as plot. I read this novel for the second time twenty years after I had first read it. Between readings, I had recalled accurately its sense of coldness, formality and the monotony of small-town existence in a flat landscape. 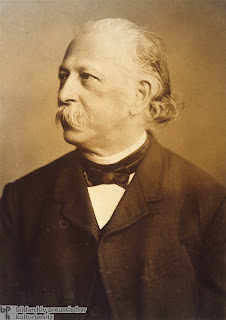 But the single point I best remembered was how Fontane underplayed the duel. After the build-up, Fontane simply tells us in a sentence or two that Major Crampas was killed. The actual duel simply isn’t dramatised. What I did not recall is that this elliptical technique is true of the whole novel. Those events we would expect to be colourful or climactic (Effi’s wedding; the birth of Annie; the duel) are either shuffled over in a few lines or take place “off stage”. And this is especially true of Effi’s adultery. We are not even aware that it has happened until it is over and (three-quarters of the way through the novel) reduced to a bundle of yellowing letters. What is the emotional impact of this deliberate avoidance of dramatic climax and its attendant catharsis? It is to emphasise anticipation and regret rather than action, achievement or the lived moment. Effi Briest becomes a novel of foreboding, of brooding, of monotony, of time passing slowly and time hanging heavy on Effi’s hands. It dramatises the truth that for most people, a lingering condition is more potent than a resolved event. The ghost of the Chinaman and the stuffed crocodile and shark are curiously allusive symbols – but of what? Of Effi’s fears and guilts? Of the alien situation she finds herself in and cannot control? Innstetten uses the ghost as a means of taming and controlling his good little wife; but Effi’s belief in the ghost is also akin to her romantic and imaginative side, which cannot be harnessed to a rational Prussian code. The scene where Major Crampas’s’ carriage is stuck in the mire screams out with foreboding. The flat Pomeranian landscape has its own oppressive emotional power. I should also note that this novel is as much a comment on national character as it is an account of a failed marriage. A Prussian of French Protestant descent, Theodor Fontane (1819-98) was in his seventies when he wrote Effi Briest. His views on his nation could be conventionally patriotic or severely critical. Between my first two readings of the novel, I had somehow got it into my head that it was set in the early or mid-19th century. Perhaps this was because of the less advanced country town where most of it takes place. In fact, with mention of the telegraph and the telegram and the telephone, it is quite specifically set in the decade when it was written, the 1890s. And Fontane more than once notes the boastful and vainglorious way Prussians still talked about their victory over the French in 1870. This well-wrought, carefully-constructed, genuinely tragic novel is as great a work as it is claimed to be. Some personal comments to conclude with. First, I know only a few words of German, so I am reliant on Douglas Parmee’s translation for my assessment of Fontane’s style. It is excellent, but I did feel an awful crunch in Chapter 18 when Parmee uses the term “flappers” to describe giggly young women. Maybe the translator was getting old. The word belongs to the 1920s, and not the 1960s when the translation was made. Second, I was so impressed with this novel that I hastened to read the other novel by Fontane that is readily available in English in the Oxford World Classics series, Before the Storm (Vor den Sturm), written in 1878. It is an historical novel set in Prussia at the time of the Napoleonic Wars. Oh dear. I might some day make it a “Something Old”, but I found it as rambling and unengaging as I found Effi Briest focused and arresting. Third, many years ago I saw a Film Society screening of Rainer Werner Fassbinder’s 1974 film version of Effi Briest (as a German classic, the novel has been filmed four or five times by the Germans, and is taught regularly in German schools). It was shot in black and white and starred Hanna Schygulla as Effi. Usually I found Fassbinder’s films verbose and sexually explicit bores, but I make an exception for this one. Fassbinder really got the point of Fontane’s elliptical style, and shot the duel scene in one brief, objective long shot. The film’s severe, controlled style, so atypical of its director, reflects accurately the novel’s sense of repression and limitation. What do you do physically while reading a book? Do you lounge in an armchair and therefore court sleep or at least inattention to the text? Sometimes, up against reviewing deadlines and knowing that I have to get through a book in a set time, I keep myself awake by standing up as I read, balancing an open book on one of my wife’s music stands. Do you sit with your book at the kitchen table, so that you can enjoy the company of your family or flat-mates as you read? Again, you could be courting inattention even if you enjoy the gregariousness. Or do you – as I do when I’m wrestling with a really serious tome – sit at your desk student-style, hunched over the text and making notes? There are many wrong postures in which to read a book. Lying on a bed is one of the worst; and if you think you can read seriously while lounging on the beach, then what you are reading is probably airport-lounge writing. Apart from the inappropriate postures, though, there are other bad habits you can get into when reading. One of my own worst habits is reading against a background of music. I hasten to say, there are some kinds of writing that I would never put to a soundtrack. I would never have music playing while I was reading poetry. The more overt rhythms of music would clash with the more subtle metres of poetry, and I would do justice to neither. Nevertheless, I do have this habit of putting on some jazz or orchestral music when reading other genres. And sometimes I get extra clever by trying to make the music appropriate to the text. I am reading the Argentinian Tomas Eloy Martinez’s weird and surreal Santa Evita, a “biography” of the corpse of Eva Peron. 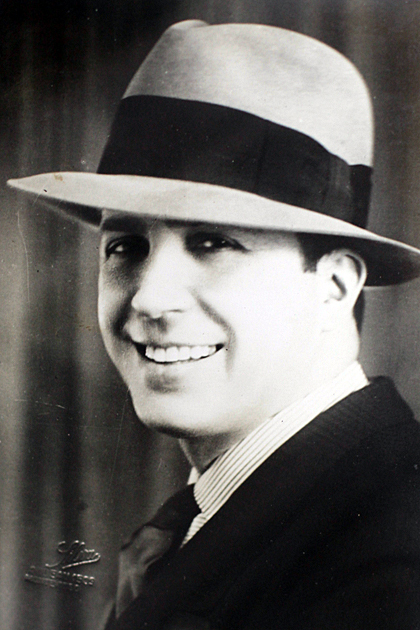 So on I put my double CD set of Carlos Gardel, together with my double CD set of tangos by various other artists of the 1930s and 1940s, reflecting that some of them would have been known to, and heard by, Evita when she was alive. I read Therese Anne Fowler’s recent novel Z, about the somewhat unhinged Zelda Fitzgerald and her dazzling, destructive life in the 1920s. And on goes my collection of Bix Baederbecke and Jelly Roll Morton and King Oliver and the other exponents of “hot” jazz in the 1920s, to whose beat Zelda could well have Charleston-ed and Black-Bottomed. I can’t pull this trick for too many books, and if I were reading some postmodern piece of cyber-punk, I admit I wouldn’t have the music to accommodate it. But my last reading of Henry Fielding was accompanied by Handel oratorios. Part of the attraction of this practice is the raising of ghosts. To read about a particular past against the very noises of that past can both conjure up appropriate imagery and make the heart skip a beat. It reminds me of the time when I was researching an opera programme note to do with an opera by Verdi; and as I scribbled, I had playing a CD re-pressing and re-mastering and expert restoration of primitive sound recordings from the earliest 1900s. One was a fierce baritone singing Iago’s demonic creed from Otello. I was stunned as I realised that this very voice would have been singing when Verdi was still alive to hear it. But I digress (as I often do when improvising these “Something Thoughtfuls”). Reading against music raises that whole thorny issue of mood music. Musicians might object (quite rightly) that attending to a text, while your sound-system blares, debases the status of music to mere background noise. And from the literary perspective, even if poetry is exempted, there is always the possibility that music will detract from the rhythms of prose or other writing and become a mere distraction. So – to read in comparative silence or to read with music playing? Or is this a false dichotomy in a world where it’s hard to steer clear of all noise while you are reading? Not too long ago, a rather cynical person said to me that, in New Zealand, film-making is the new pottery – the thing that artily-inclined people enter into, but usually in a cottage industry sort of way. Most aspiring film-makers get no further than the short films that are perhaps seen in a few festivals (if they are lucky) before being archived. It is only the very rare film-school graduate who makes an ongoing career in film in any genuinely creative way. Now there are some even more cynical people who would say similar things about the Creative Writing industry. 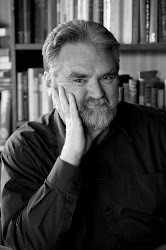 Never before have there been so many institutions that teach Creative Writing, and yet it is only the rare graduate of them who makes an ongoing career in literature. This can raise all sorts of questions about both the utility and value of such courses. Indeed, there are some Illustrious Elder Literary Figures who have opined that all aspiring writers really need to do is to read widely, learn how the best writers achieve their effects, and then get on with it, the way writers in the past did. Creative Writing courses, they imply, are a commercial con giving false hope to the untalented. Stephanie Johnson has the right to write a novel about Creative Writing. Not only is she an accomplished novelist, but she is also a teacher of Creative Writing and has another stake in the culture industry as co-founder of a writers’ and readers’ festival. 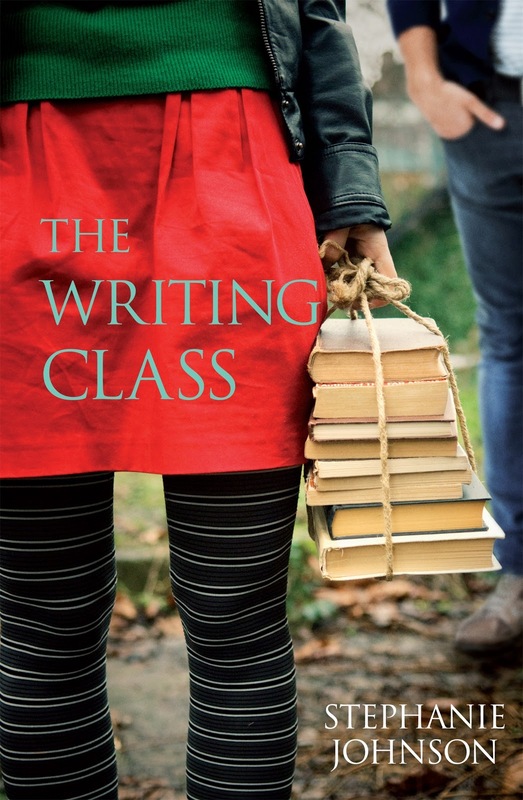 The Writing Class is an insider’s view of the whole phenomenon. Ageing Creative Writing tutor Merle Carbury was once a promising novelist, but her writing has for years taken a back seat to her teaching. She supports a chronically-depressed husband Brendan, who was once a documentary film-maker but now plods about the house in his pyjamas, smoking and idling. They have a mysterious German lodger Jurgen, with whose mysterious situation we are tantalised. At work, Merle’s fellow tutor is the younger Gareth, who wrote a novel once but hasn’t been able to write anything since. Intentional or not, there seems to be at least the suggestion in The Writing Class that tutoring Creative Writing isn’t necessarily healthy for the creative energy of the tutors. They have to give so much of themselves to assessing and offering advice on their students’ efforts. A sense of weariness hangs over the enterprise. The novel plays out in the last term of a writing course’s year, in which Merle’s students are preparing final drafts of the works they intend to submit for assessment. Some are thinking (too optimistically in most cases) about finding publishers. They are a varied bunch – the roughneck male writer; the out-and-open lesbian; the former nun; the Chinese woman writing a fictionalised life of her grandmother; the Indian man going for a generational saga; the sweetie writing a children’s book; the fake Rastafarian. More women than men, of course, but then that is the way of writing courses (and of literary festivals). Egos have to be massaged by the tutors, and criticisms muted so as not to discourage the students. Students also have to be encouraged to read their work out loud to an audience, in an environment where new books are publicised by readings at writers’ festivals. The big emotional story, intertwined with Merle’s sage observations, involves Jacinta, a highly-strung and wealthily-married student, and her affair with the rumpled tutor Gareth. In presenting what the novel is about like this, I am in a way falsifying it. The Writing Class is very self-referencing, with chapter headings drawing our attention to the fact that it too is a product of the Creative Writing process. (“Ways of Beginning”, “To Be Going on With”, “The Writer’s Life” etc.). This stylistic alienation effect is at one with the novel’s reference (on page 137) to Stephanie Johnson herself; and with the reminders that the main character’s surname, Carbury, comes from an Anthony Trollope novel. It all opens with a stunning morning panorama of a New Zealand city waking up. (It could be more than one city, but my brain converted it into Auckland.) “What a charmingly old-fashioned way to set the scene,” I immediately thought. But then I saw how Stephanie Johnson was gently teasing us, for the chapter that follows has Merle conducting a class on how to write arresting openings. She reflects on how few of her charges actually read anything. When she presents them with opening paragraphs from well-known novels, to show how it can be done (E.M.Forster, Carson McCullers, Elias Canetti…. and Rosie Scott) she can sense how irritated they are that they have to read this old stuff when they’d rather be flicking around with their I-pads or skimming the ‘net. And she reflects on departmental rivalries. And on how universities are downsizing humanities and how people in the older English departments hardly ever read anything new because they want to wait until books are part of the “canon”. By this stage, we are alert to how the novelist sets things up and how she is deliberately drawing our attention to artifice. The opening is followed by articulated reflections on openings and indeed by other chapters that could equally validly be openings. We are being asked to scrutinise this story as a narrative construct, right up to discussions on how it should all end. This does not make The Writing Class a cold intellectual enterprise, however. It has an in-built suspense (how are the students’ writings going to turn out?) and some in-built mystery (what is that German lodger’s secret and what exactly is his muted relationship with Merle?) and a fine and precise way in presenting characters. It also has its scenes of feverish emotion in the Jacinta-Gareth story. But even here, we are forced to consider style. Both when seen from Jacinta’s viewpoint and when seen from Gareth’s viewpoint, their adulterous coupling is close to overwrought romantic writing – but then this is the point isn’t it? After all, he’s a tutor in Creative Writing and she’s a student of Creative Writing; so don’t they both have a tendency to over-dramatize and create fiction about themselves and others? And then there’s that moment where Jacinta, having just bonked ecstatically, sits down and momentarily considers how she can make use of this experience in her writing. Writers as self-conscious parasites on reality, maybe? What I enjoyed most in this novel were its comments on literature, academe and the writing process. I cannot refrain from quoting some. I could quote more, but that will do. This is an urbane and accessible novel, engaging and often ironically funny. In isolation, some passages could be taken as clinching arguments against Creative Writing courses; but whether that was Stephanie Johnson’s purpose is more than I can guess. It is sometimes the fortune of quite prolific writers to be remembered for just one book. This has certainly been the fate of Edmund Gosse (1849-1928). He produced many volumes of poetry, but they are all now forgotten. None of his poetry is re-published or appears in anthologies; and having never sighted any of it, I’m in no position to pass judgement on it. He also wrote official biographies of a few people (including his father) and a mountain of literary criticism. But as is the way with literary criticism, most of this has now been superseded and is consulted only by Lit Crit specialists. I do know that in his last years, there were much younger writers (such as Aldous Huxley) who regarded him as a pompous old bore who was too inclined to lord it over his youngers and betters, and to see himself as the Grand Cham of the whole London literary scene. Gosse was happily married and had three children, but he was homosexual by inclination, a fact which he admitted to a few friends (like the similarly inclined John Addington Symonds) only when he was in middle age. This may have inflected the attitudes of some younger writers towards him. But there is one book by Gosse, and one book only, which has continued to be a minor classic and has rarely been out of print over the last century. This is Father and Son, and my recent re-reading of it reminds me of how good it is. 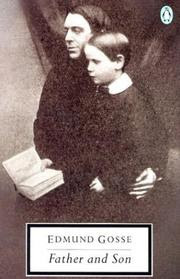 Subtitled “A Study of Two Temperaments”, it is Gosse’s autobiographical account of his relationship, in childhood and adolescence, with his father Philip Gosse. The account ends when young Gosse is 17 or 18 years old. It is often hailed as an early attempt at psychological autobiography and it is frequently cited by cultural historians when they wish to say negative things about the domestic power of Victorian fathers. Edmund Gosse was an only child. His father was 38 and his mother 42 when he was born; and his mother died when he was about 6 or 7. Philip Gosse was a scientist – a marine biologist and the author of respected textbooks. But he was a man of limited and literalist Christian views, even by the standards of the Victorian age. Gosse Senior was a Plymouth Brethren with exclusivist beliefs about the salvation of his own sect (the only group of Christians to interpret the Bible correctly, apparently) and the impending damnation of everybody else. He hoped to train his son in the same views, but Father and Son records the strain and breakdown of their relationship as Edmund developed an aesthetic sense of his own. Philip Gosse hoped to rout Charles Darwin’s newly-published notions of Evolution by Natural Selection. He researched and wrote a book called Omphalos, which was meant to harmonise all observable natural phenomena with a literalist interpretation of Genesis. He was bitterly disappointed, however, when even fellow Christians like Charles Kingsley failed to back him up. (Father and Son has an amusing vignette of Philip Gosse leaving Kingsley waiting in the garden when he came to call, as Philip refused to interrupt the Bible class he was conducting). It is worth reading the passages about this as a salutary reminder that, in historical fact, and despite later exaggerations by some secularist propagandists, many nineteenth century Christians had little difficulty in reconciling the theory of evolution with their Christian faith. Poor old Philip Gosse found himself estranged from most Christian intellectuals as well as from the scientific community. So Gosse, father and son, settled in rural Devon, where Philip continued his sea-shore research and conducted Plymouth Brethren services in the local Brethren “Room”. And Edmund, baptised by total immersion at the uncustomarily young age of 10, was groomed to be a “saint”. With his father, he had to make local calls of charity (which he hated) and spend the whole Sabbath reading only the Bible. A Miss Marks almost married his widower father, but she left in a huff when he delayed proposing to her. Philip Gosse eventually married a Miss Wilkes, whom young Edmund liked for her gentle and tolerant nature – but it was his father who made the rules and dominated the household. There are many arresting anecdotes in Father and Son. One of the best-known (partly because – with acknowledgement – it was re-hashed by the Australian Peter Carey in his 1988 Booker Prize-winning novel Oscar and Lucinda) concerns Philip Gosse’s rage when he discovered that two house-maids had been celebrating the “popish” feast of Christmas. He took the plum pudding they had prepared and buried it in the garden. There was also Philip’s rage and disappointment at those who were ardent in the Plymouth Brethren faith only for a short time before falling away. And there is the tale of the crazy woman who briefly abducted the boy Edmund from his conventicle. And the description of Mrs Paget, wife of a retired Baptist minister, who put fear into Philip Gosse by being able to argue better from Scripture than he could. But the real subject is always Edmund’s growing-away from his father. There was that epiphany in childhood when he realized his father didn’t know everything. There was his wilful wickedness as a child when he tested God by praying to a stool to see if God would punish him. There was his adolescent discovery of Shakespeare and of Greek art at the boarding school he was sent to (which was not as narrowly Christian as his father thought it would be). Consequently there was the adolescent Edmund’s horror when he heard of the half-crazy Brethren girl Susan Flood, who tried to smash all the plaster casts of Greek statuary on display as the Crystal Palace as she believed they were malign heathen idols. Fittingly, the main part of the book ends with the adolescent Edmund, on a calm and beautiful evening, praying for Jesus to take him… and when Jesus doesn’t take him, he realizes definitively that his ways will never be his father’s. Father and Son was written when Edmund Gosse was nearly 60 and his father long dead. The chief tension in the book is between Edmund’s renunciation of his upbringing, and yet his continuing affection for his father, who was clearly no fool. From a safe distance of time, the younger Gosse can see that the older Gosse was attempting to do his best by his lights, and that he did indeed impart to him much interesting information about the natural world. Hence the tone is more often wryly humorous and ironical, rather than outraged or horrified. When Edmund Gosse does directly condemn his narrow religious upbringing, it sounds like editorialising. Oddly, my reaction was that if one could remove the religious aspect from it, much of Edmund’s rural childhood would sound idyllic – his walking on the seashore; his absorption in producing watercolours of marine life, as he was encouraged to do by his father. The style is beautifully clear and readable, one notable aspect being Gosse’s determination to stick to the point of his relationship with his father. Hence this is not a complete autobiography of his first 18 years and much (including, one assumes, sexual urges) is not part of the record. Of his boarding school years, for example, we hear nothing except that the school eventually didn’t appeal to his father; and that young Edmund once naughtily locked an usher into the school’s cellar. One of the best passages of extended irony (too long for me to quote here) is in Chapter 4, where (though “I have no longer the slightest wish myself to denounce the Roman communion”), he reflects on the extreme anti-Catholic bigotry in which he was raised, which left him having nightmares about the Scarlet Woman of Babylon, the Beast 666 and so on. Freud, deluded man, believed that each man, in his innermost core, really wanted to kill his father. This is plainly nonsense, and yet there is a point where every young man, if he is going to grow up at all, has to separate himself from his father. Rarely has such separation been expressed with such force, and such pathos, as in Gosse’s account. It remains only to say that modern biographers (including Anne Thwaite) have made a strong case for the idea that Edmund Gosse grossly exaggerated the tyranny of Philip, who was apparently a gentler soul than his son made out. Perhaps it was very much the way Samuel Butler caricatured his clergyman father in his fiction. I can believe this, but I still see Father and Son as a classic of subjective portraiture.